The best of both worlds! Plus a great view!! All the amenities of a condo with the services and shops/restaurants of a hotel. Best of both worlds! Plus a great view! I can really recommend staying here. 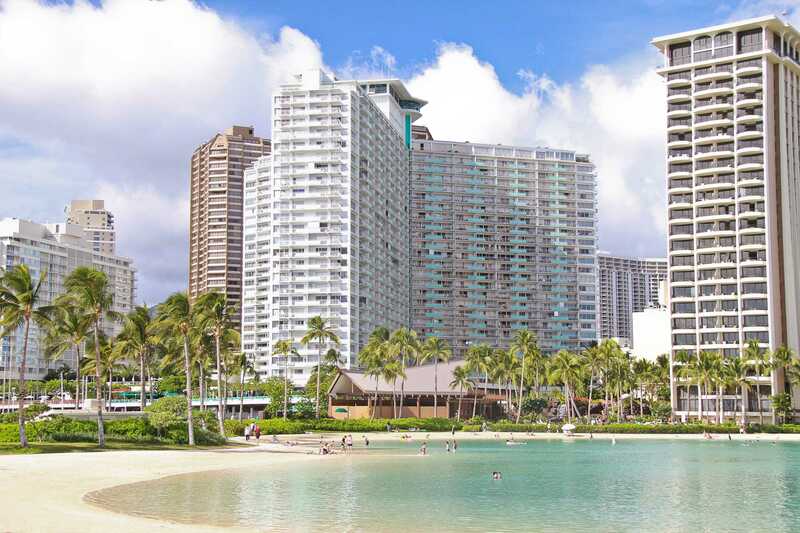 The condo is located right at the harbour next to Waikiki beach. and better than from most restaurants at the beach actually. We struggled at first with getting into the condo but once that was figured out, our stay was amazing. The condo is a nice as shown on the pictures, amazing view, really well equipped kitchen, no noise from neighbours, just great! With only one small exception I found our stay at the condo very comfortable and conveniently located. Very good unit. Very clean and all the essentials were there. Enjoyed and relaxed looking at the ocean from the room. Clean, well decorated condo. Great view. Comfy king bed. Loved the location. Nice clean condo. Great view. Big balcony. Super nice people at the hotel desk, bar and restaurant. Would definitely stay there again. Another pleasant stay at the Ilikai! We stayed here for two weeks. 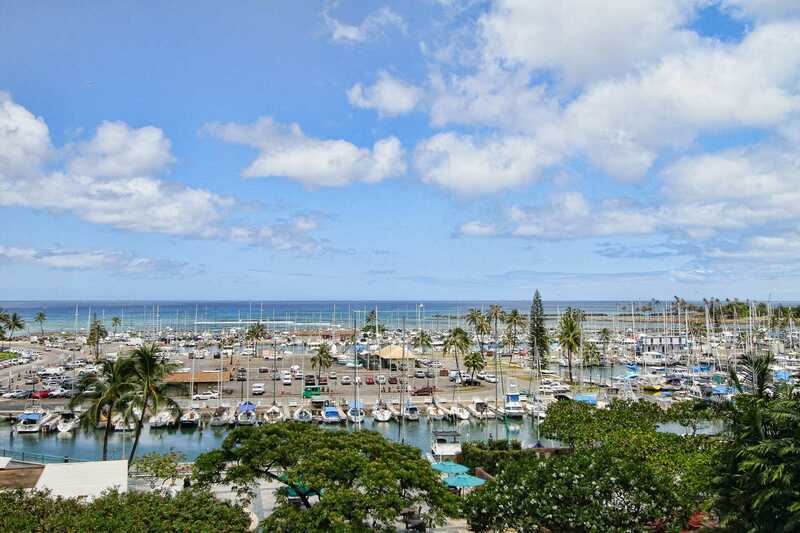 We have been to the Ilikai several times but this was the first time we stayed in a unit with the marina view instead of the lagoon. It was great! The sunsets were amazing. This unit was very comfortable, and had everything we needed. The bed was firm and very comfortable. It was nice to have a comfortable couch and easy chair. The ac unit worked very well and was super quiet, plus there are two ceiling fans with lights. The room lighting was very good. 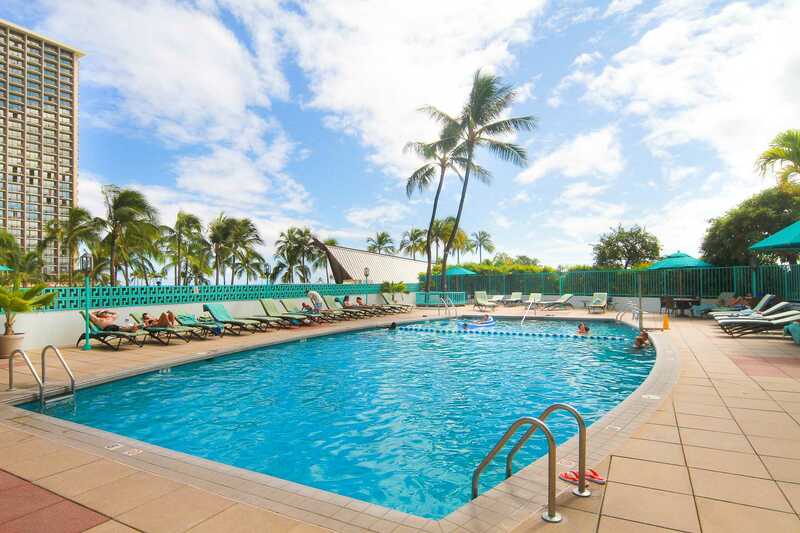 We would definitely stay here again and would recommend it to our friends.We are very happy booking through Hawaii Vacation Properties. They are always there and quick to respond to any of our calls. 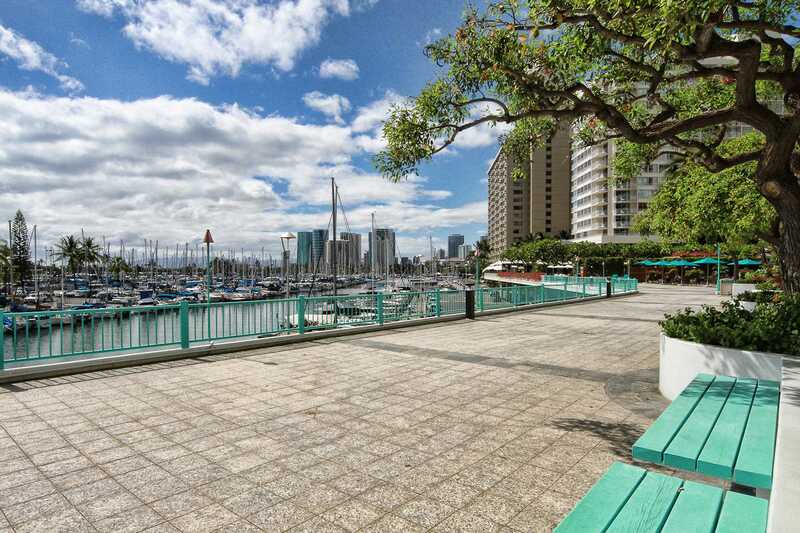 The views from this unit are awesome - the courtyard, the marina and the ocean. A perfect place for beautiful Hawaiian sunsets too. The unit has a spacious feel. The kitchen is well done. I plan to stay again next year. Amazing stay in unit 508!!! 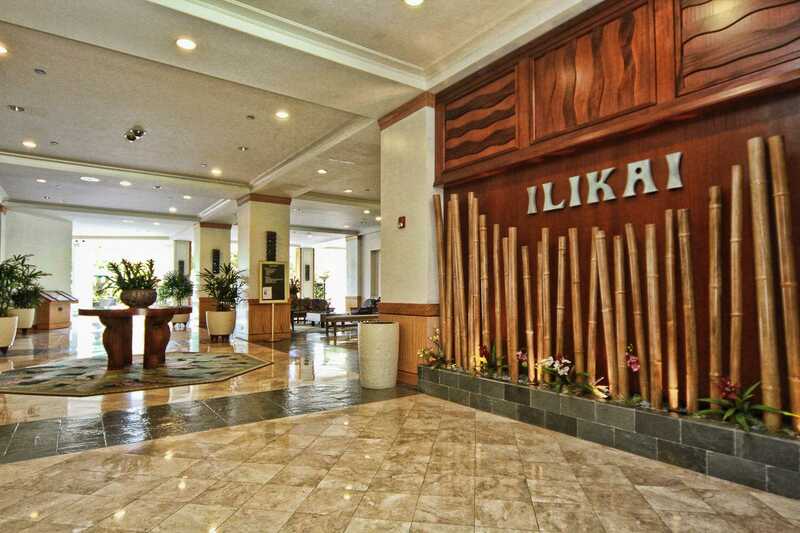 It is has everything anyone needs for an exiting vacation!The Ilikai hotel is so well kept, in the lobby you don't have an impression that is from seventies, more like it's a new building! Waikiki beach, city, Oh my god, we'll coming back!!! 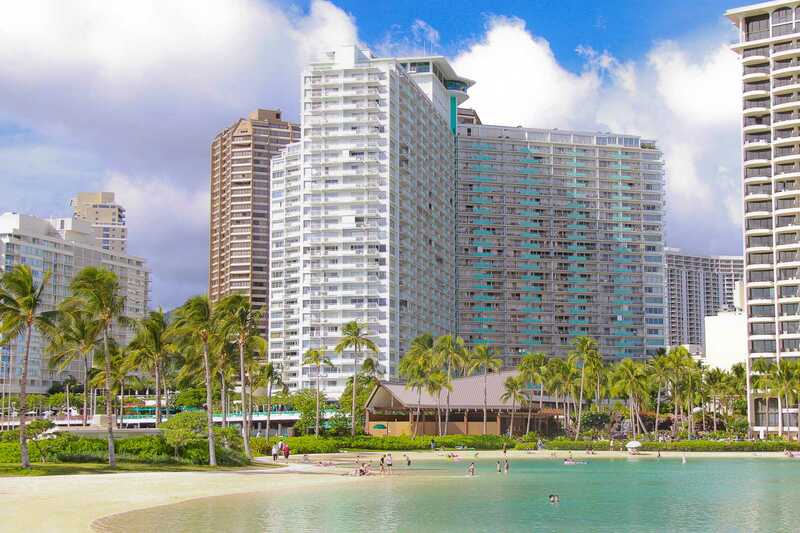 EVERYTHING what we need to enjoy Waikiki Beach/Oahu! We have stayed at this property and room multiple times and always enjoy it. The only improvement we suggest is to update the floor covering. The carpet is definitely showing wear and room would benefit by a lower maintenance floor covering. Lower floor was an unexpected bonus. On and off the elavator quickly. The newer children's pool area is a great area to relax . Loved our Home Away from Home! Wonderful stay. Almost everything we would need to make our stay amazing was supplied in this unit. Would have liked to have a small safe to lock up our valuables but no big deal. Our coffee pot was out of order so we contacted VRBO and within hours we had a brand new machine delivered to our room in the box! Thanks for the excellent customer service. Only one complaint...otherwise this would have been a 5+star rating and that's not to put blame on the owners but the hotel itself. The 'adult only' pool on the second floor was constantly over run with screaming children. Parents just totally ignoring the other guests and when we complained they were asked to leave and then got the stink eye from the parents anytime we saw them in the hotel. The next day it was the same thing. So managing that would be a good comment for the hotel from the VRBO owners. Thanks for a memorable stay...MAHOLO and Aloha! Would definitely stay again. It was exactly as we had hoped. 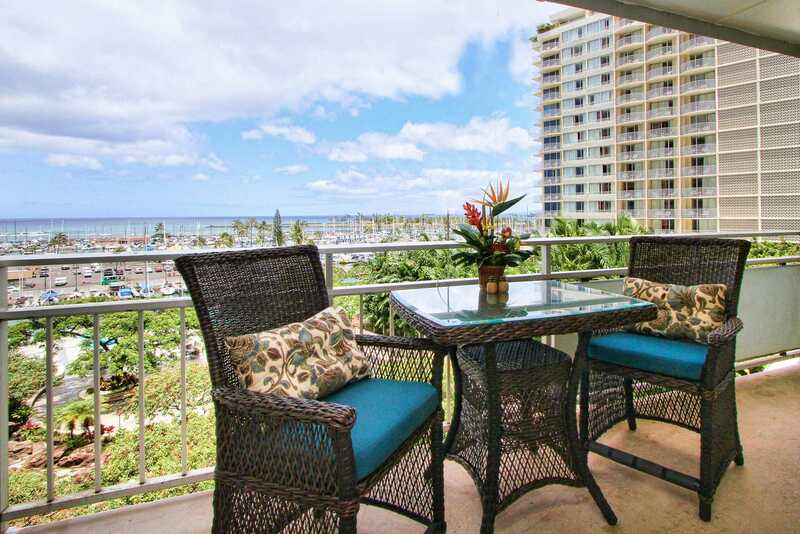 Lovely view and lanai, easy to catch cabs and store in lobby! 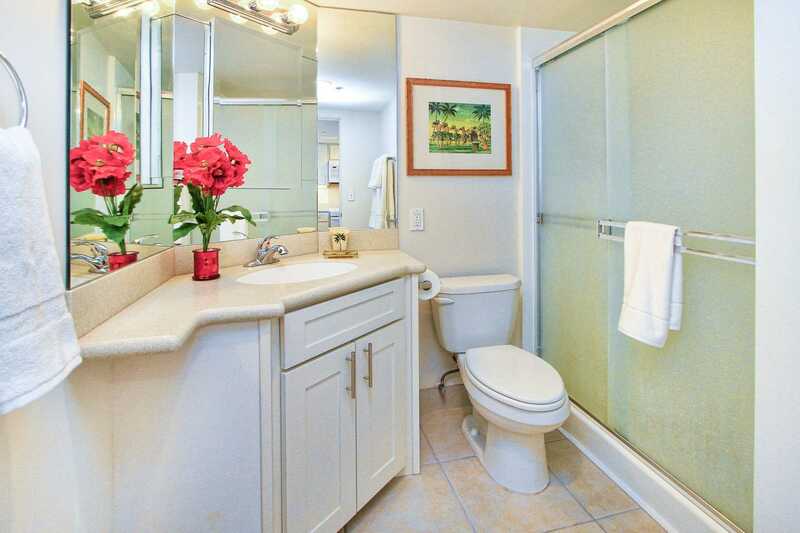 Clean with amenities- even binoculars! I've stayed in five units at the Ilikai and this was the very best. 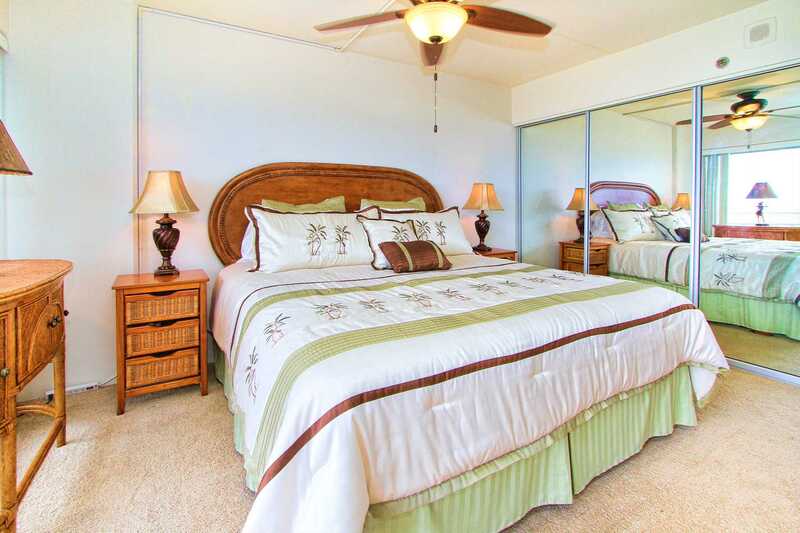 It has the Hawaiian decor I want giving the feeling of the islands, a fan over the bed with the air conditioner high on the living room wall not behind furniture and curtains (both with remote controls), and the perfect view are just a few of the reasons this unit is perfect. We had a wonderful stay in Honolulu for ten nights staying at Ilikai apartment 504 which was well appointed and clean with a great kitchen and a comfortable super king bed. 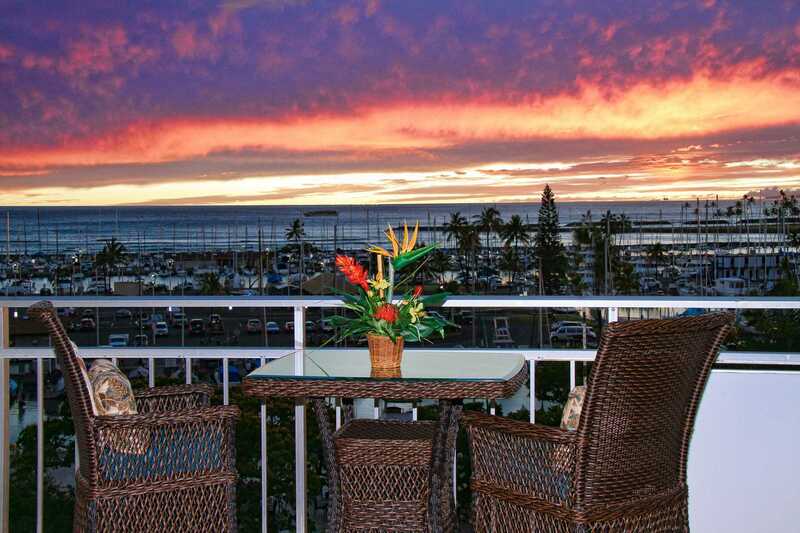 The lanai had great views of ocean and marina where we spent a lot of time relaxing and enjoyed watching the surfers and the sunsets. 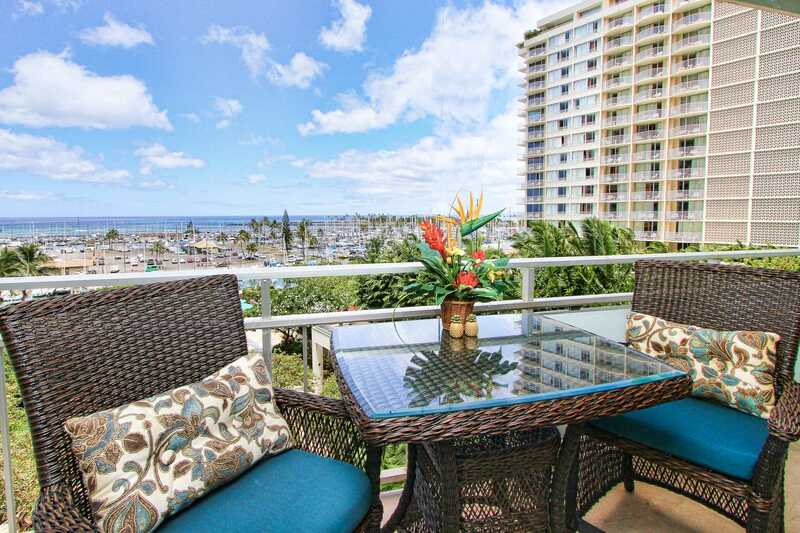 The apartment is in an ideal position for morning walks to Magic Island, Waikiki and Ala Moana and a short stroll to the pool or ocean for swimming. Will recommend to family and friends and definitely stay again should we return to Hawaii. Mahalo. 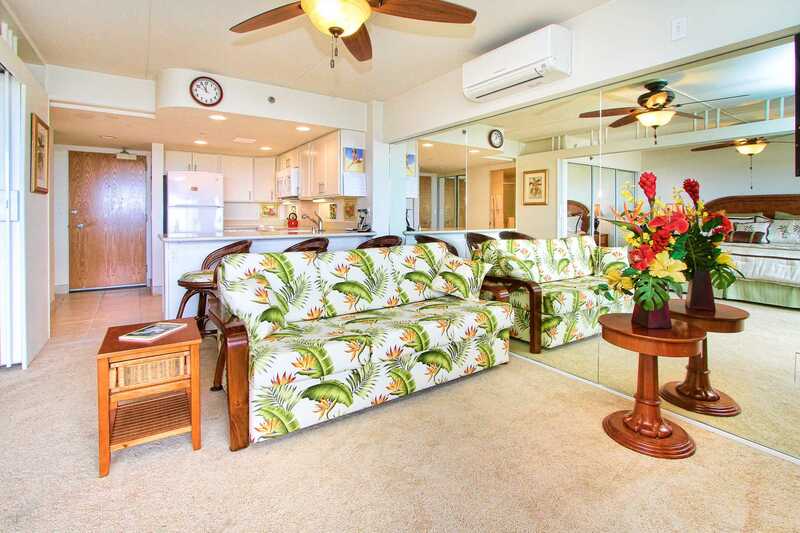 Have visited the Ilikai for many years and have stayed in many suites. 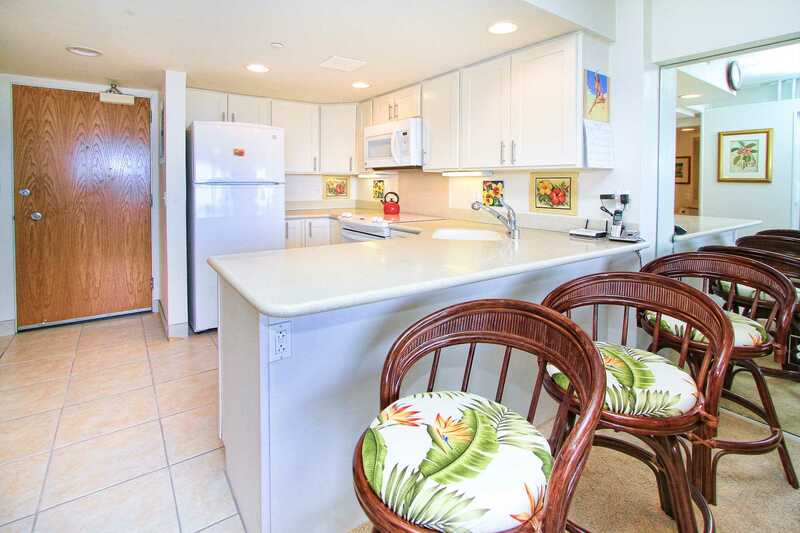 Especially liked this suite for its Hawaiian theme, well equipped kitchen, and of course the gorgeous unobstructed view of not only the harbour but surrounding palm trees as well. Looking forward to staying here again next year! The condo worked out perfectly, and we enjoyed out stay in #508. The unit was well equipped and comfortable. We would definitely stay there again. 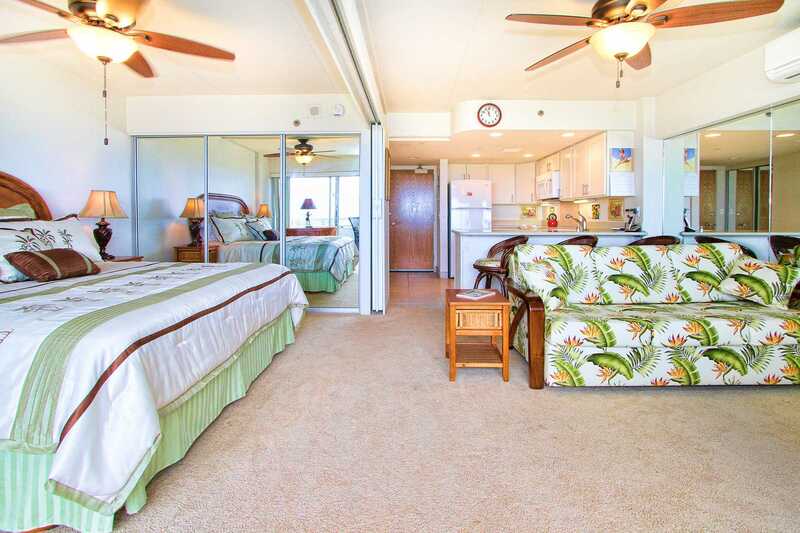 We were so happy when we walked into this unit,best one yet at the Ilikai,would certainly book this unit again.Lovely view,comfortable bed,kitchen fully stocked and the main thing for us is that it was clean.Close to beach and beautiful walks.Good location.Very comfortable unit and very Hawiian which we liked.Thank you. 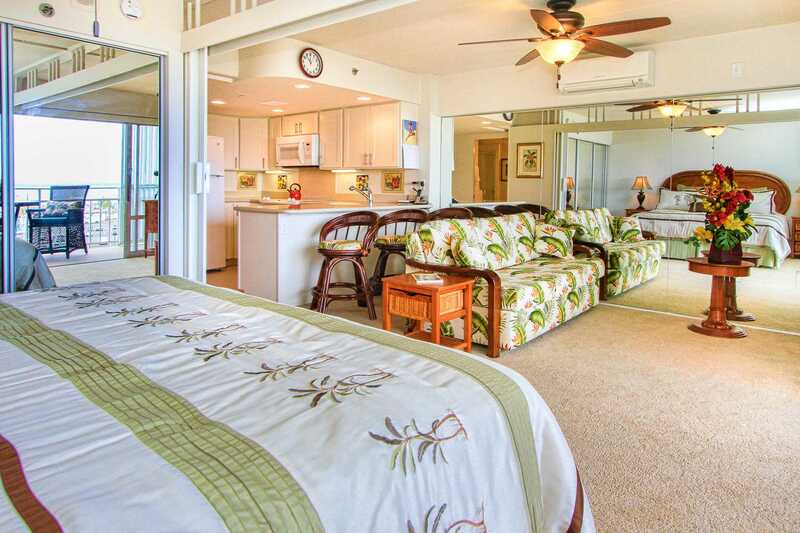 This is a great studio/one bedroom in the Ilikai. It was clean and the views were great. The check in and out were easy and overall the location is wonderful since its a short walk to the beach and Hilton. we would recommend to anyone in the future. My husband and I had a wonderful stay for four nights in June. Furnishings in the room were very nice and comfortable. The view from the balcony was beautiful and relaxing. Also enjoyed the pool one morning. We did not rent a car and were able to walk to a variety of restaurants. Can't imagine anyone not enjoying this condo. Just the two of us stayed from Dec 5th till Dec 13th 2015. Great location, as its close to the beach but far enough away you don't hear any late night parties. Easy access to the beach. 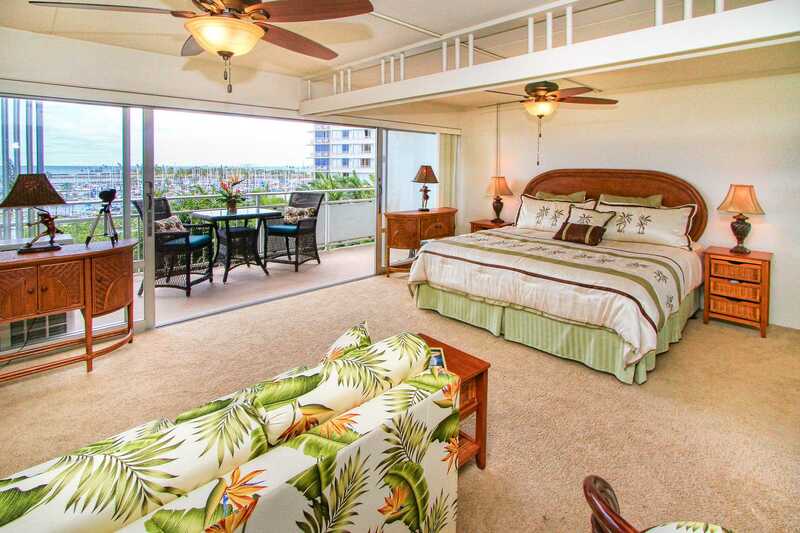 Room was very clean and very comfortable, the Lanai was great to overlook the ocean, and see the Sunsets. 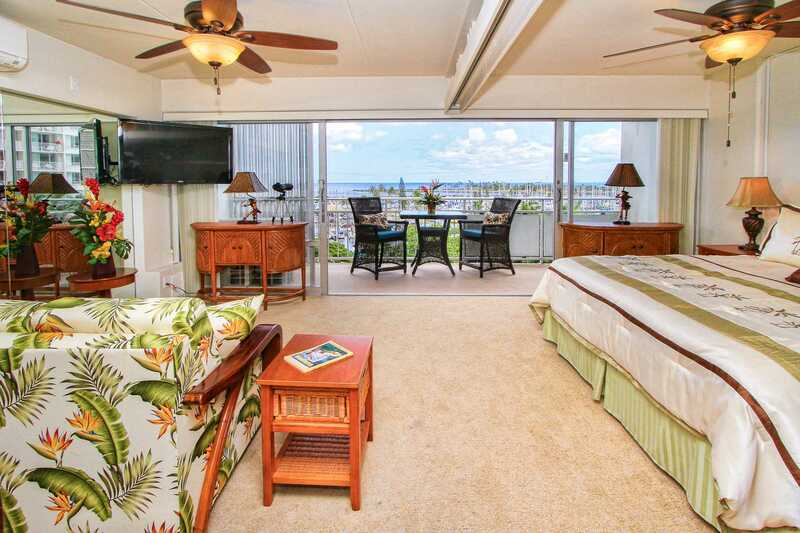 The HUGE doors that open up to the Lanai, are awesome. Air conditioning was great. A few items are showing some aging and should be replaced soon: Shower head, Mattress (But was comfortable). WIFI is fast and worked perfectly. No issues with the condo at all. Had a pleasant stay! 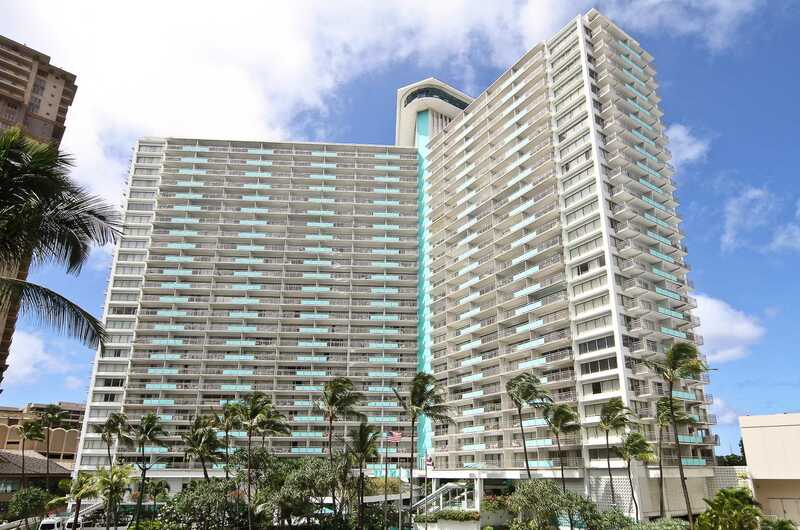 My spouse and I enjoyed our second trip to the Honolulu and stayed in #508 October 5th to 10th. It was the perfect size for two adults and very convenient to restaurants, shopping, etc. The ocean view was perfect and we loved sitting on the lanai watching sunsets after dinner. Cinnamon's Restaurant is located in the lobby has great food with perfect views of the ocean and lagoon. We enjoyed a couples massage at the Ilikai Massage Spa on our last night and went home very relaxed. 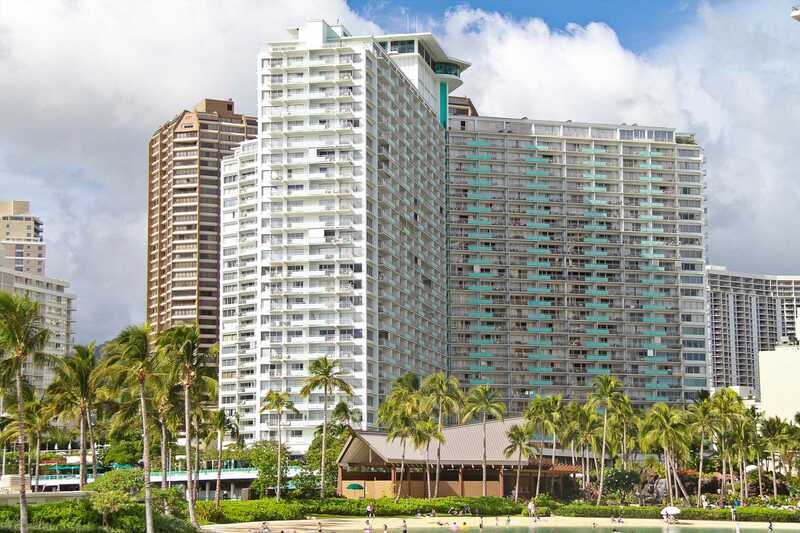 We have started a new tradition of staying at the going to Hawaii every other year for vacation and will be definitely be staying at the Ilikai!! Our condo was the perfect place to stay on our first trip to Oahu. 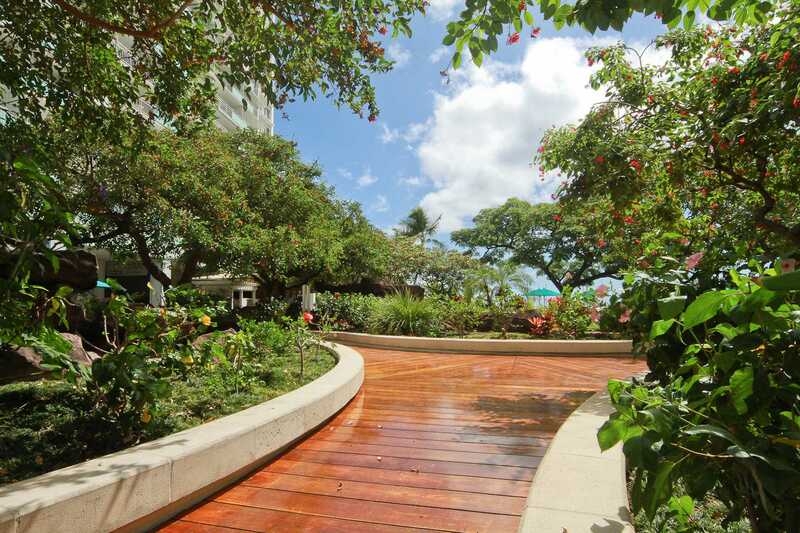 The location was convenient to the restaraunts and shops of Waikiki and also very close to the beautiful sand beaches. We had a car, so valet parking was available and easy to use. However, if you do not have a car, tours stop right if front of the hotel. 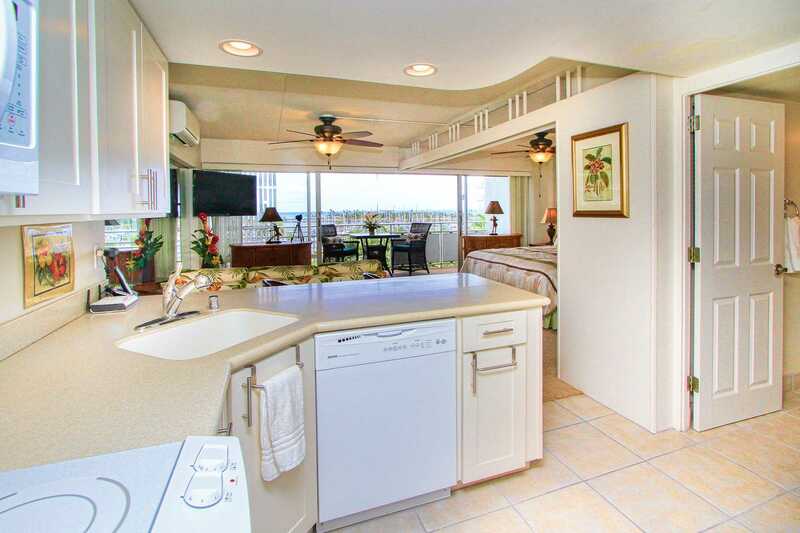 The condo is bright, clean and cheery with large windows and a lanai overlooking the marina. It is close to the city "activity", but very quiet. Kat was delightful to work with. We would definitely stay here again. 22-29 August 2015. Great location. Clean and comfortable. Stunning sunsets. Would rent again. This unit exceeded our expectations!! We lived down the street and moved to the mainland 2 years ago. It made use feel very much at home. The decor is beautiful, the view very nice, the bed is comfortable. 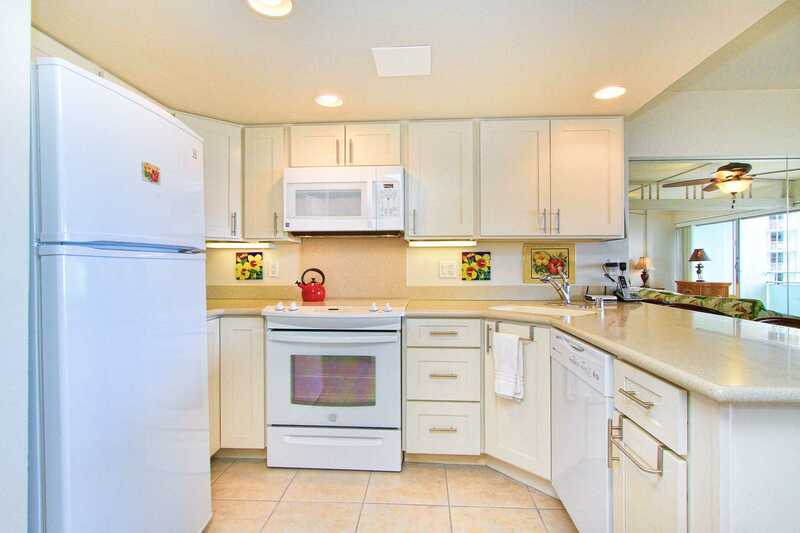 The kitchen has everything you need and the dishes are very nice. We would definitely stay here again! What a great place to stay, very central to everything we did. the privately owned suite we were in, was well appointed with tidy furnishings and plenty of space . the lagoon view was fine. Kat did a great job organising our stay, the check in and out went seamlessly. Thanks for a lovely week everyone ! From the minute we looked at the photos of this place online, we knew it would be great. 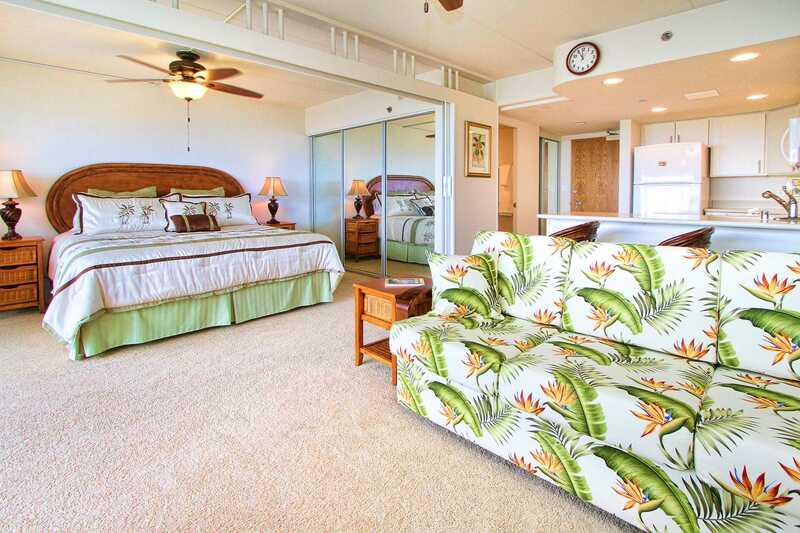 Service received from Kat at Hawaiian Vacation Properties was second to none, in making our stay easy and comfortable. We were a little nervous about booking something via the VRBO website but Kat's assurances made everything smooth sailing. The apartment was only on the 5th floor and views were just as good as those higher (we later stayed on the 11th flr). The apt had been recently refurbished and the kitchen/lounge area was spotless, open and perfect. One wall was mirrored, giving a feeling of spaciousness. Using white and light colours in the apt Gave a feeling of fresh, new and bright. Bed was average. It was a great apt and had it been available, we would have stayed again on the second part of our trip. Only one major complaint - the shower rose needs replacement, as water comes out like a garden hose (not shower-like) and full force. Not pleasant at all. The vertical blinds could do with replacing too, as they fell off their runner and twisted a bit but they did the job. We were concerned that we may be liable for them, as the kept coming unhinged. We spoke to the agent and they were well aware of the state of the blinds and were trying to have them replaced. Once those issues are fixed, the apt would be perfect. 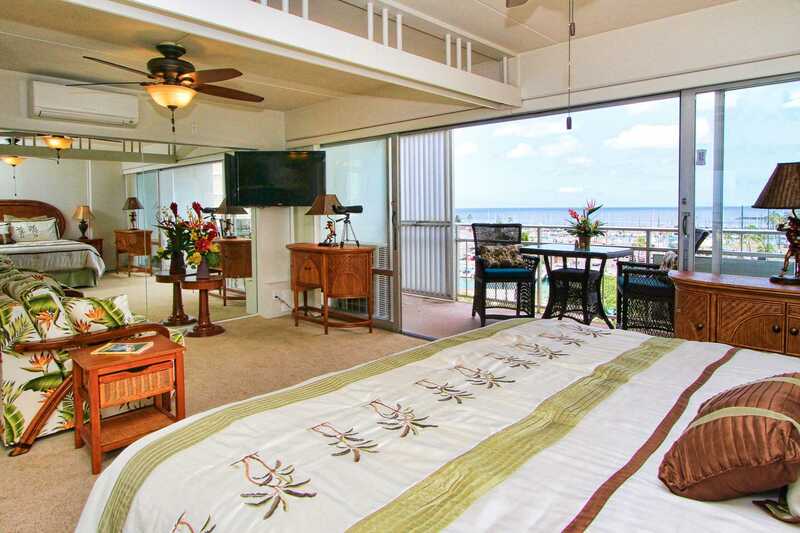 The Ilikai itself was a great spot to stay and the staff we came in contact with were extremely helpful and obliging. Personally, we wouldn't hesitate to stay here again and we will certainly be recommending to our friends and family. We look forward to our next visit. The shower head was replaced as soon as we discovered the problem. We have the Owner coming in to stay and they are to repair the blinds then. Our first but not last trip to Hawai!. 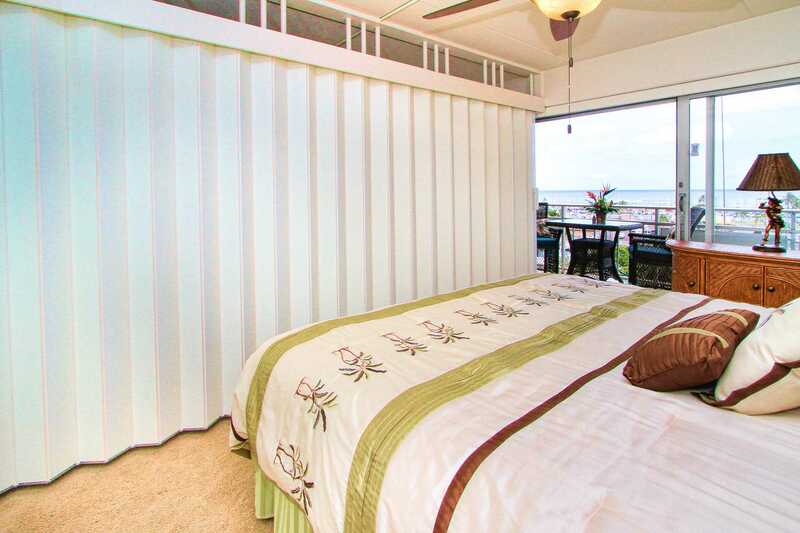 Hawaii Vacation Properties was easy and very pleasant to work with. 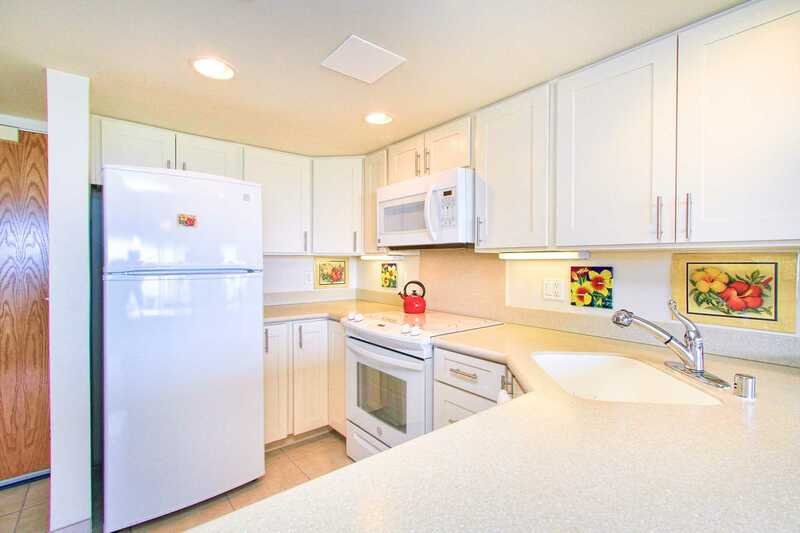 The unit was perfect; roomy, clean, close to everything but not in the heavy congestion of Honolulu. The view of the marina and ocean was lovely. The kitchen had everything we needed to eat in or heat up leftovers. The atmosphere and staff were all welcoming, friendly and comfortable. The hotel is a bit older but very well maintained, understated elegance. We highly recommend this rental and plan to return. We really enjoyed unit 508 and would return in a heartbeat. We were on a three week November holiday and brought PLENTY of luggage. Loved that there was enough room to completely unpack and store some luggage under the bed. We covered the larger bags and set them on the Lanai. The unit was very clean and tidy. The bed was comfy, but it is time to replace the flat pillows. Kitchen was equipped with everything we needed, including disposable food storage containers. There were (4) beach chairs, sunscreen, beach towels and a cooler. Unit included a small fan (definitely needed it in the bathroom to help cool it down as there is no exhaust fan). The A/C worked great - and it was quiet. The A/C and two ceiling fans were much appreciated from 3:00 p.m. to sunset this unit gets the full effect of the afternoon sun. No traffic noise, which made for very peaceful evenings and and every Friday and Sunday evening we enjoyed a hula show and Hawaiian music from our Lanai. Grocery shopping is close... Foodland is in Ala Moana shopping mall, but good luck trying to find a place to park. I finally gave up and went to Don Quiote. Parking is not easy there either, but it's not attached to a mall so people are in and out a bit more often. All in all, a VERY pleasant experience and we are looking forward to returning to Ilikai 508 in the future. Aloha. This was our home for 10 days in The Aloha State. We love everything in the house, the decor feels like you're really in the Island , beach gears included, cooking utensils and lunch boxes that we were able to use to pack our lunches on our daily outing. The bed is so comfortable that you just don't want to get up. The location is superb with very nice view, we're always at the balcony during sunset and at Fridays we were able to watch the fireworks from there. If we get lazy cooking the restaurants are just a walk away! 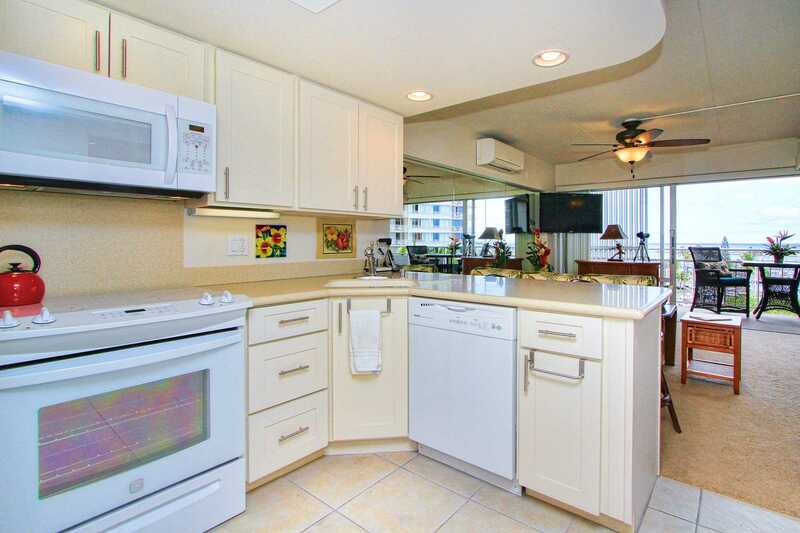 So in love with this condo that I highly recommended it to my friends visiting Hawaii. Thank you so much! Absolutely wonderful stay! 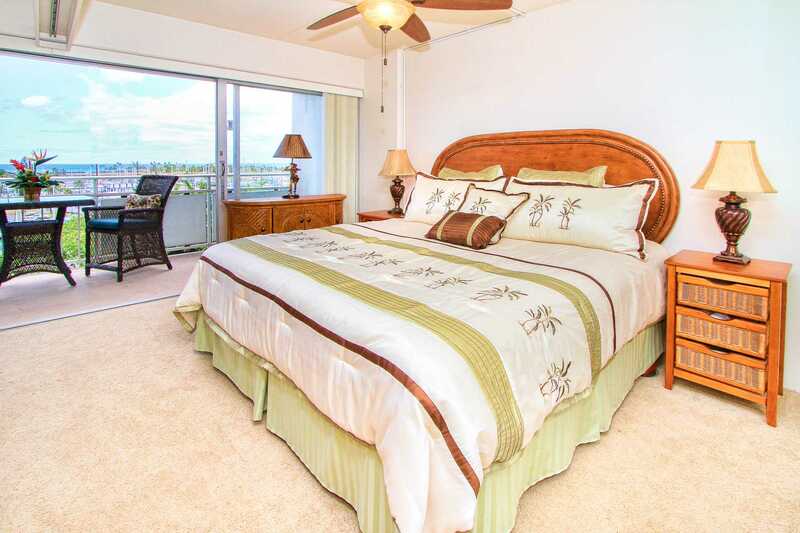 The condo is well decorated, you can feel the beach life right there in the room. The view from the balcony is amazing. 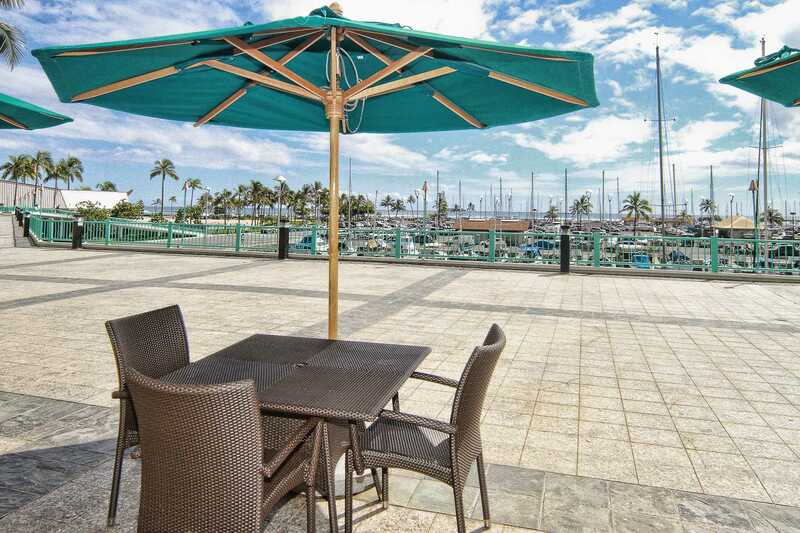 This is a perfect location - walking distance to Waikiki shopping, Ala Moana Mall, 5 minutes to the beach - couldn't ask for more. Keyless entry makes walks to the beach so much easier. Highly recommended! We will never stay in a hotel again...we'll be back! I cannot express how pleasant my stay was. 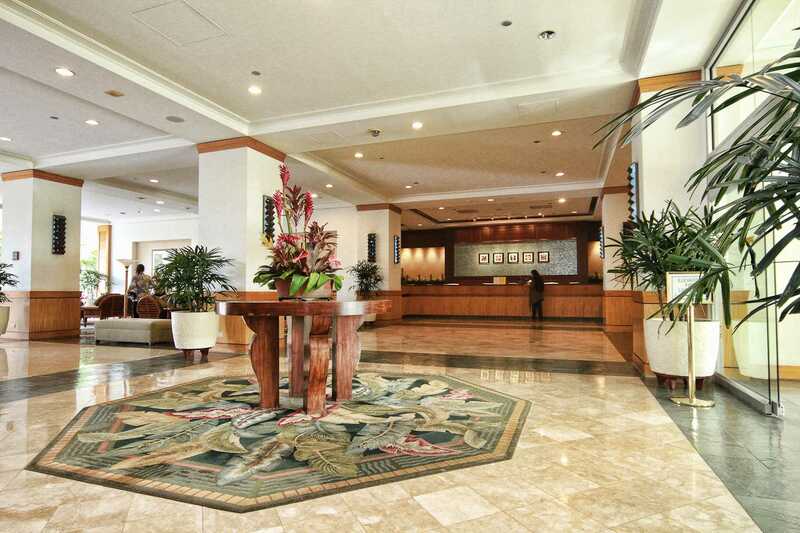 Perfect location, nice furnishings, close to Ala Moana shopping centre and a few minutes to downtown Waikiki. Perfect! My husband and I stayed at the Ilikai condo for the last six days in May. We enjoyed staying at the quieter end of Waikiki. Everything is within walking distance, including the beach, shopping, great restaurants and bars for happy hour. Our favorite dinner and happy hour was at the top of the Ilikai - Sarento's. Amazing food, drinks and the best view in town!!! We just returned from our honeymoon in Hawaii and absolutely loved our stay at the Ilikai. The view of the marina was wonderful. We ate every meal out on the lanai and enjoyed the sunset every night. I loved the wall of windows, the first thing we did in the morning was open everything up and bring the outside in. I really like the way the kitchen is set up because I could cook on the island and have a view of the ocean at the same time. One sharper knife would have been so useful as well as a few more storage containers or zip lock bags for left overs, some basic spices would also be much appreciated. The location was great and we walked everywhere. Enjoying a drink at Sorento's on the 30th floor is a MUST. We will be back for sure! The location is well situated. Our first time at the Ilikai although I've spent a substantial amount of time in Honolulu. Plenty of restaurants to chose from and next door to my favorite, the Chart House. The unit was clean and had everything that we needed. One upgrade needed would be a better selection of beach chairs. The ones at the unit have seen far better days. All in all the hotel staff was helpful and friendly and it was a very nice place to stay. 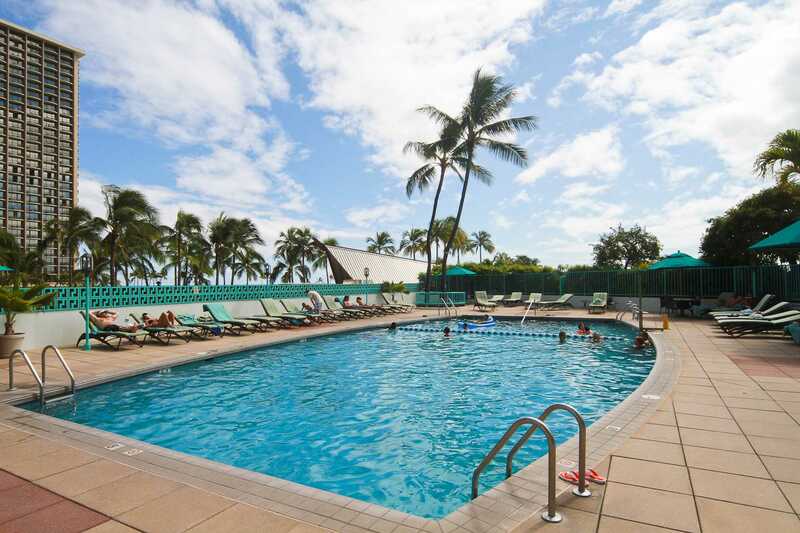 We stayed at the Ilikai for 2 weeks from Feb 21-Mar 7, 2014. 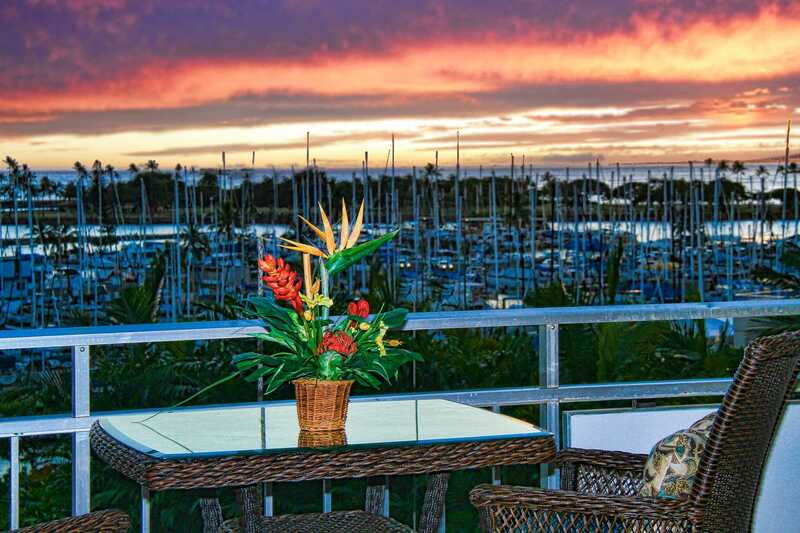 The best part of this condo was the view of the ocean and the marina. Whale watching was a highlight! Beautiful sunsets! Great condo with everything we needed for our stay. Would come back in a heartbeat! This condo was perfect for just us two! Beautiful view of the harbor and quiet. Close enough to some great bars and restaurants. It was nice to be able to cook some of our own meals in the kitchen that had everything that you needed. We definitely hope to be back! Mahalo!!! 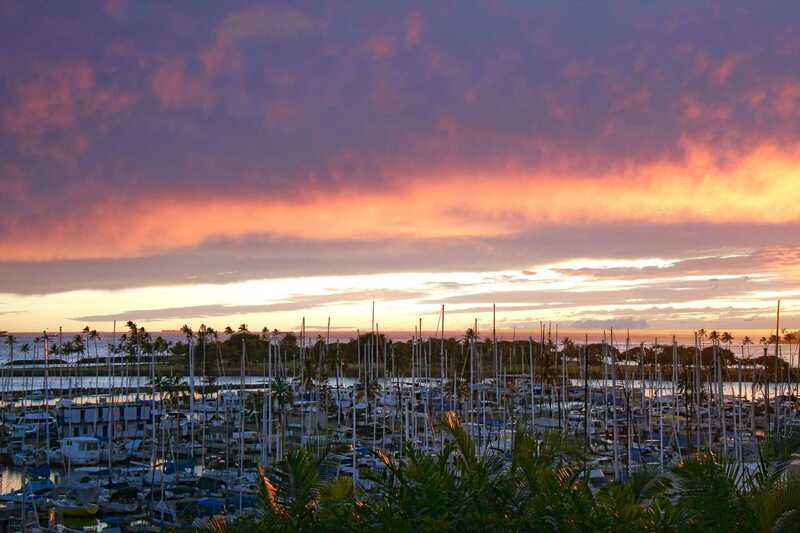 We had a very nice stay at the 5th floor condo with its sunset and harbor view. The unit was very comfortable and had all that we needed. It was a great location to start our morning run around the Ala Moana Park, along the Ala Wai Canal, and back through Waikiki. Well worth staying there again. Our condo was the best ever. We. enjoyed every minute of our vacation. The property management team was right on time and very easy to deal with. We look forward to staying again in the future. We really enjoyed the stay in this condo. It had a very nice sunset and harbor view. The unit was well appointed and comfortable. Looking forward to returning. A Holiday i wont forget! Property Visited: Condo 5th Floor! Had the Best stay ever! The condo was just beautiful! The belcony had the most stunning view and watched the fireworks every tuesday and friday night! Condo was clean and had everything that we needed! The location of the condo was great! Will be booking again very soon! Also Hawaii Vacation Properties was a great company to go through very helpful and always returned my emails,again Thank you for this stay was great and will be contacting you again very soon.